250 dead, but what about those who were injured? Medical sources have reported 250 dead from September protests, but the number of injured are not known. Ibrahim Abdelrahman, pictured below, is an 8th grader. Abena reports on their Facebook page, he remains in a coma since being shot on 25 September. Ja’far Othman Yagoub of Kalakla was reported to have died today from blunt force head trauma caused by sharp instruments during protests there. There are reports of fabricated and coerced confessions, a long time NISS tactic, as well as reports of underaged children being charged in relation to protests. The government, some report, has offered families of murdered protesters to perform Hajj, sponsored by the government. The families of those killed in the protests continue to be denied death certificates, instead receiving only permission to bury their loved ones. President Bashir is due to leave to perform Hajj on Sunday, at the invitation of the Saudi government. A demonstrations in support of Sudanese protesters calling for regime change was held in front of the Hague, the Netherlands on 5 October 2013. Watch video here. On October 6, Al Arabiya reported that charges were dropped by a judge in Haj Yousef, North Khartoum, against 19 detained protesters due to a lack of evidence against them. 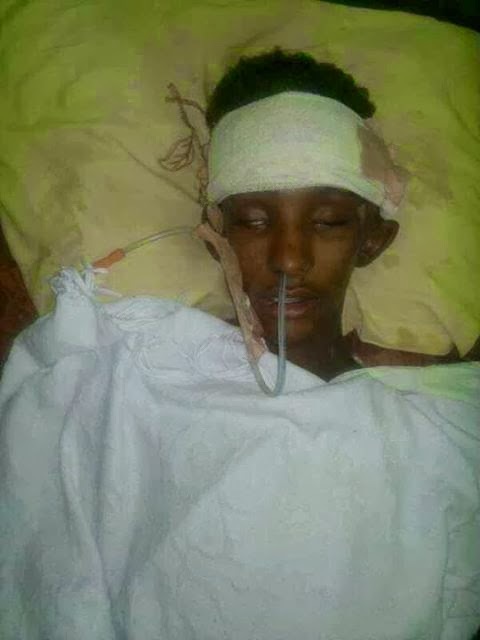 Updates, Images – 20 October – Another protester dies in Omdurman.